Everyone in Bali has a vibrant story, why they are on the island of the gods. One of my first days in Ubud, I crossed paths with Irma, a Swiss (Genava) born with Indonesian roots. And the first thing I’ve noticed were the beautiful rings on her fingers. Along the way, her story felt somehow connected to mine. Irma studied fashion design on the prestigious Studio Berçot in Paris, not only a city of love, but also the city of couture and design. After graduating, she was the creative of multiple brands from mid segment to higher. And she always felt strongly inspired by brand such as Lanvin, the shapes, the design and creative uses of textures. 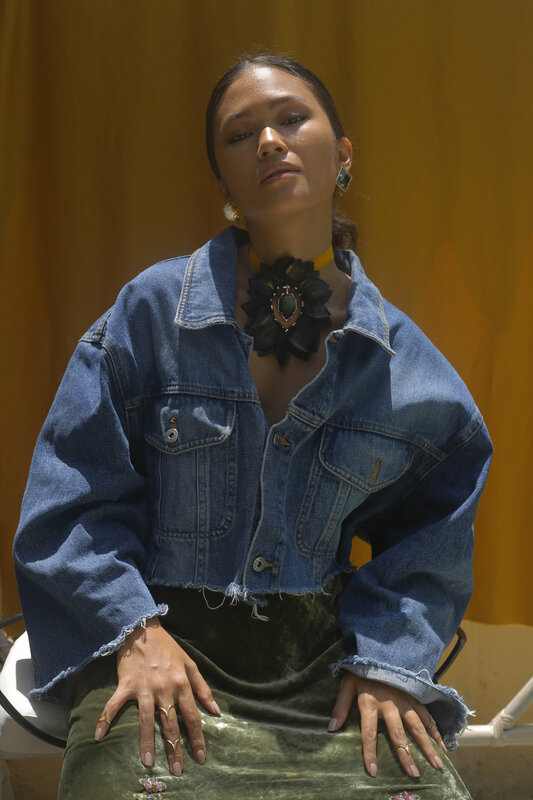 Soon she became part of the design team of Lanvin jewelry, a small creative team where she became assistant Jewelry designer. 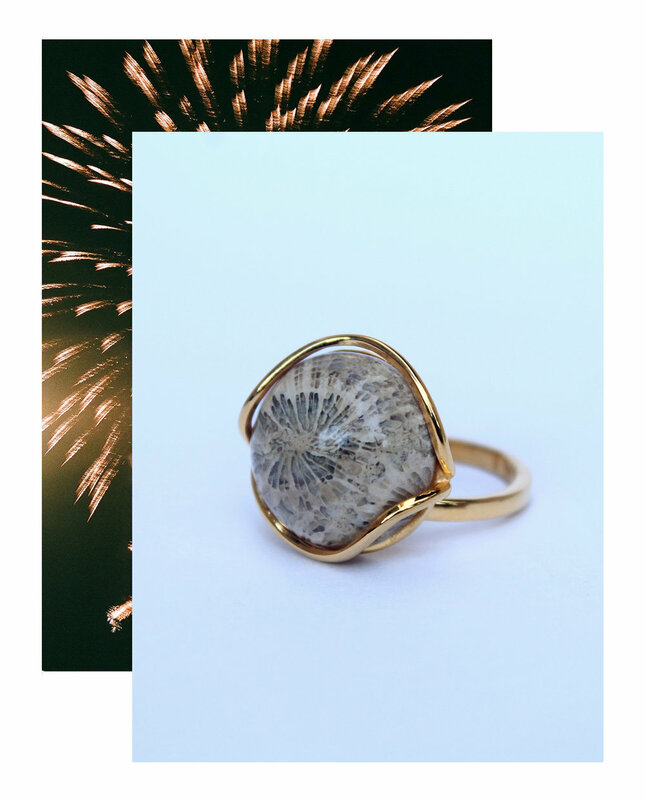 IRMAWY is a mix of textures and play with materials such as gemstones, fabrics, gold plated silver and golden brass. These techniques helps to sustain Indonesian traditional craft, enlighten hidden creativity and honor her cultural heritage. A true signature design! She came to Bali 2 years ago to recharge for 3 months ,but felt so truly inspired and noticed soon enough that going back was simply not an option. And now she has been living in Ubud for 2 years. Inspired by beauty, nature, cultural roots and craftsmanship. 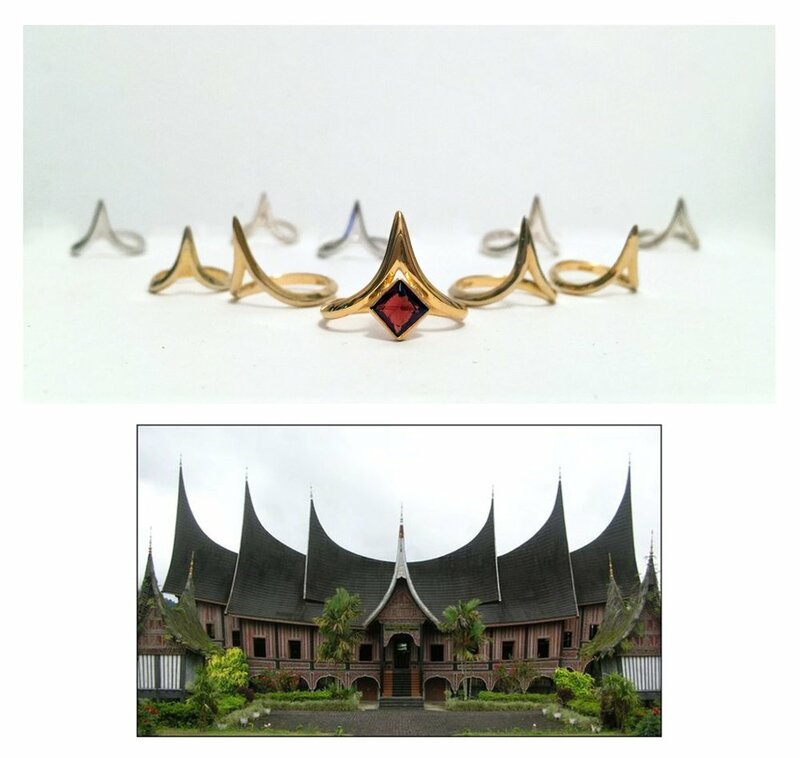 My personal favorites are The 'Asiah Murmaid' and 'Rumah Gadang' rings and actually everything else! Make sure when you are in Bali to meet up! She also does made to order rings, she will design a personal ring for you.